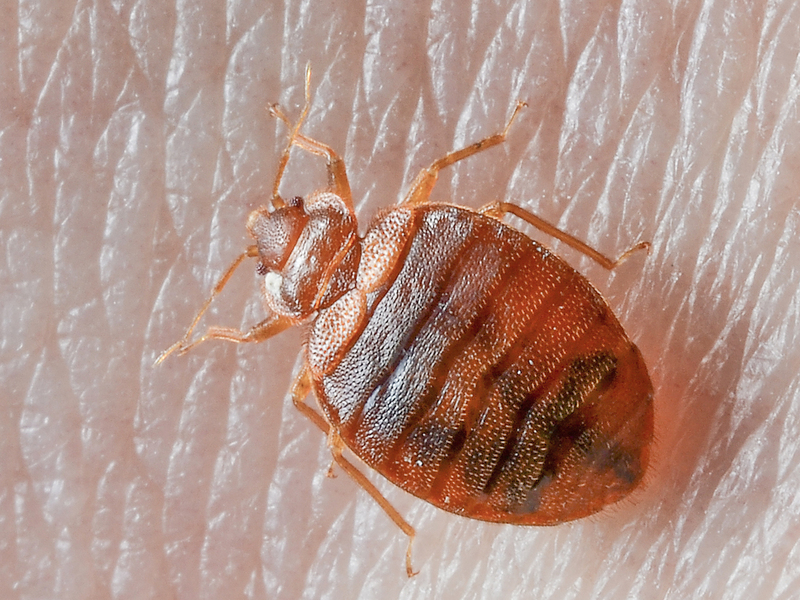 Once bed bugs enter your home, it can be costly to get rid of them. With its tiny flat body it can hide in plain sight when they are not feeding or looking for food. The most common places they hide in are the seams of the mattress, headboards, bedding, furniture, and carpets. Are those mosquito bites or bed bug bites? The first signs are bites. They tend to look like mosquito bites; however, they are more or less clusters of at least three to four. Bed bugs target exposed areas while you sleep, such as your face, neck, and arms. Did You Know: A bug can feed up to 8 minutes on a human and simply crawl away without you even noticing?